The Denver Nuggets travel to Boston, Massachusetts on Monday, March 18, 2019 to play against the Boston Celtics. Both of these teams have a similar record with Denver sitting second in the West with a 46-22 record while Boston is 43-27 but fifth in the East. Both records are good but Denver is considered a team on the rise while Boston’s record is seen as a disappointment. Boston was the Eastern Conference Finalists in 2018 who lost to the then LeBron James Cleveland Cavaliers. Boston pushed that series to six games without stars like Kyrie Irving and Gordon Hayward. For many, it's puzzling how with those two stars now healthy and available to play every night, Boston is not at the top of the Eastern Conference in 2019. The Celtics have won their last two home games including a nine point victory over the Atlanta Hawks on Friday night. The Celtics are currently 26-10 when playing at home. The Denver Nuggets have been splendid in the Western Conference. They were first overall earlier in the season but were surpassed by the defending champions the Golden State Warriors. 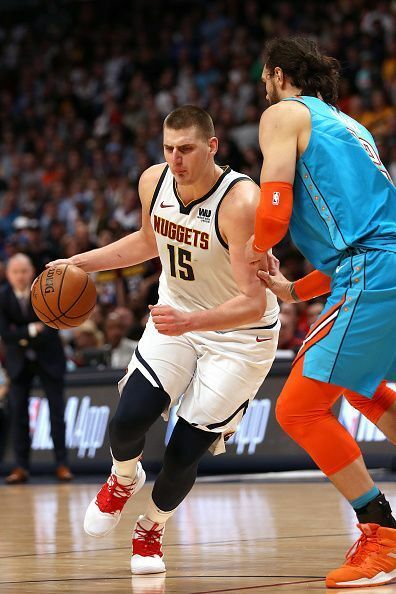 The Nuggets have dominated their opponents at home, building a 30-6 record at the Pepsi Center but have maintained a .500 record on the road at 16-16. Friday night, the Nuggets, with a late floater from power forward Paul Millsap, pulled out a 102-100 victory over the Indiana Pacers at the Pepsi Center in Denver. The Nuggets will likely start the following five players: G - Garry Harris, G - Jamal Murray, F - Paul Millsap, F - Will Barton, and C - Nikola Jokic. Expect the Celtics to start: G - Kyrie Irving, G - Marcus Smart, F - Jayson Tatum, F - Marcus Morris Sr., and C - Al Horford. The Boston Celtics, despite their lower than expected ranking in the Eastern Conference are 26-10 at home. 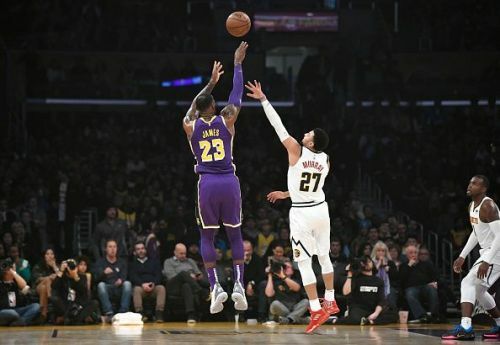 It is one of the top home records in the NBA this season. The Celtics will not be an easy team to play at the TD Garden in Boston. Further, if Boston wants to rekindle their success last season, now is the time to ramp up their play. With just 12 games in the regular season, It would be a great time for them to prove the accolades bestowed on them before the season even began. Several factors have influenced Boston’s success in 2019. First, while Kyrie Irving is in the top 10 of players in the NBA skill-wise, it's that skill set that hampers Boston’s success. Irving is a scoring point guard on a team loaded with shooters and other good if not great scorers. However, Irving needs the ball in his hands to break down defenses. 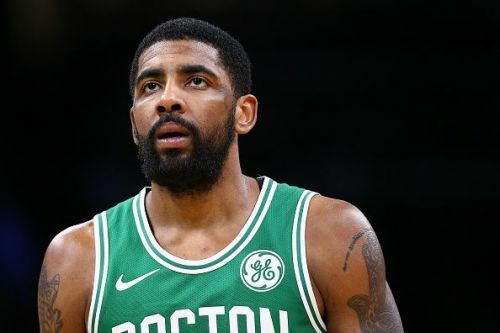 It is not all Irving’s fault because Boston ’s head coach Brad Stevens should be devising offensive sets that take advantage of Irving’s skill set at the back end of shot clocks. This would avoid icing teammates out during possessions. Boston’s success last year especially in the playoffs was ball movement and generating assists because of it. Boston may be working this out as they are sixth in the league in assists per game at an average of 26.5 and Irving does lead the team with 7.1apg. However, he also takes the most shots at 18.2 field goal attempts per contest. Gordon Hayward is only averaging 10.8ppg and is nowhere near the all-star form he showed prior to his season-ending injury last season. While it's great that he’s healthy and able to play, this season, for him, can be best described as at least he played. 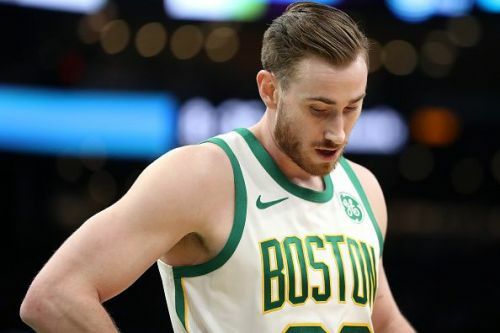 With the odd glimpse of his past self, Brad Stevens might help the team if he limits Hayward’s minutes as the Celtics prepare for the playoffs. The problem is Hayward earns too much money to be left on the bench. Finally, the Celtics have been inconsistent, Irving has yet to get a commitment from Boston management to re-up his contract, Terry Rozier did not sign a rookie deal extension in November believing he’s a #1 point guard and Irving and Marcus Morris have been sounding off about internal struggles within the team. 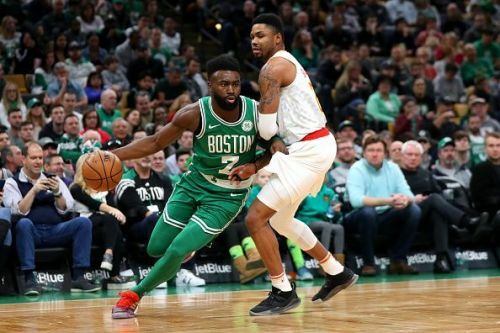 Despite most of their stats looking good, the Boston Celtics may crash and burn in the playoffs as players’ thoughts are not singularly focused on the task at hand. Team chemistry appears to be a problem. The Denver Nuggets, meanwhile, are cruising through this 2018-19 NBA season. They have, like Boston, a very young core nucleus cantered around Nikola Jokic, Jamal Murray, Garry Harris, and Will Barton among others. The Nuggets do not score an outrageous amount of points but they do have seven double-digit scorers led by Jokic and Murray. They have 10 players who average 20 or minutes a game and two others averaging 15 minutes or more. The Nuggets are a deep team. Their ball movement is spectacular as highlighted in their victory 133-107 over the Minnesota Timberwolves recently, when the Nuggets recorded 40 assists in that game. The Nuggets are third in the NBA with assists per game for an average of 27.8. Finally, guard Isaiah Thomas, who starred for Boston three seasons ago, is a member of the Nuggets and will want revenge on Boston's management for the trade that sent him to Cleveland for Kyrie Irving. This should be an exciting game between two of the better teams in the NBA. The Nuggets are playing to prove they belong in the conversation as contenders to the Warriors NBA crown. The Celtics are trying to dispel the notion that their contender status is an illusion or has faded. Both of these teams come into this Monday night contest on winning streaks but Boston is the home team. The Celtics likely to succeed in this game by five points or less.